In Greece, I visited many churches, I participated in the Divine Liturgy and when I received Holy Communion, it reduced me to tears even though I did not understand the Greek language, because the Orthodox faith is the same, no matter what the language. I would have liked to be born Greek, to have been born Orthodox, to have received Holy Communion and venerated holy icons from my years of infanthood right up until my death. I cry for me, and my compatriots, because instead of Holy Communion, we eat and drink food sacrificed to idols. I cry for me, and my compatriots, whose ears are filled with the noise of sutras and the screeches of those who worship the idols. I cry for me, and my compatriots, who are constantly assaulted by the pungent smell of the smoke rising up from the sacrifices offered up to the idols. I cry for me, and my compatriots, whose hands touch the idols and the things sacrificed to them, but who in reality are holding on to nothing. I cry for me, and my compatriots, because, although we have eyes, we are blind. I cry for me, and my compatriots, who are surrounded by temples dedicated to false gods. I cry for me, and my compatriots, because we do not have the gift of hearing of and seeing so many miracles, so many holy words that you have seen and heard over 2000 years in Greece, and which you still see…Taiwan is not an Orthodox country, our feast days and holy days do not look at all like yours. Our Orthodox flock in Taiwan, as you know, is small- less than 100 people. We are not wealthy. We do not have the means to buy a decent place in the city that will be able to meet our needs for worship, catechism and teaching. Fr Ionas conducts lessons on a regular basis, targeted mainly at the young people of our city and of course, open to whomever wants to come and meet us in person. Those people that up until now have only had the opportunity to see the Orthodox Church in Taiwan through the Internet. My brothers and sisters in Christ, if the need arises, I will do whatever is in my power to repay a little of your love, I will do whatever is needed with all my heart and for the duration of my life. Translated by P.S.Z. This article was originally published in Greek in the Periodicαl “Agios Kosmas o Aitolos” (Issue 84-First quarter 2011) and online at http://www.iersyn.gr/pelagias_letter.php (Tuesday 22nd February 2011, 18:30). Taiwan is a country of various religious beliefs. There are currently fourteen registered religions on the island practiced by nearly half the residents of Taiwan. These religions include Eastern Orthodoxy, Buddhism (the most popular), Taoism, Catholicism, Protestantism, Hsuan-yuan Chiao, Islam, Li-ism, Tenrikyo, Baha’i, T’ienti Teachings, Tien Te Chiao, I-Kuan Tao, and Mahikarikyo. The Eastern Orthodoxy tradition of Christianity is present as a minor denomination in Taiwan. 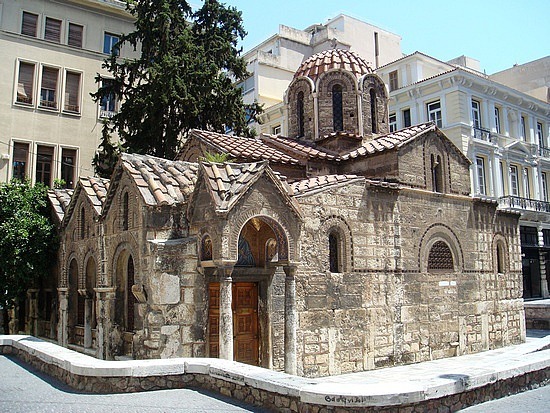 The Orthodox church was first established in 2003 when it registered with the government. The bishop of the church is Father Liang. The establishment of the Orthodox Church was supported by sister churches in Hong Kong and Southeast Asia. Buddhism is the most prevalent institutionalized religion in Taiwan, and is practiced by almost 4.9 million individuals. Originating from India, Buddhism was introduced to Taiwan in the late 16th Century. The more significant type of Buddhism today is the Mahayana (Great Wheel). Devotees of this religion chant mantras and sutras, and practice meditation in the many temples available on the island. Taoism is the second most popular religion in Taiwan, followed by 4.5 million people of Taiwan. This religion evolved from the philosophy of Lao Tzu, who lived during the 6th Century BC. The central idea of the religion is the fulfillment of divinity. 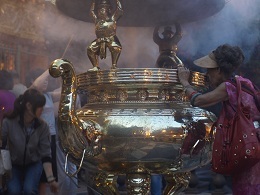 Taoists use incense for prayer and worships. Roughly 304,000 individuals are believers of Catholicism. Christianity came to Taiwan in 1626 through the Spanish occupation. A Catholic priest, Father Martinez, together with four Dominican priests from the Philippines started this mission to introduce the Catholic faith to the people. Georgius Candidus of the Reformed Church of Holland was the first successful missionary to introduce Protestantism to this island. In 1997, there were at least 65 Protestant sects, 2,700 Protestant churches, and 2,550 ministers in Taiwan. Hsuan-yuan Chiao was established by an old legislator named Wang Han-sheng in 1957 in Taiwan. ‘Hsuan-yuan’ is the name of Huangti, the Yellow Emperor who unified China, while ‘Chiao’ means teachings or religion in Chinese. This religion was conceived because of Wang’s anguish over the dispossession of the Chinese mainland to the Chinese communists. Each lunar year, a large-scale ceremony is held to honor Huangti on the ninth of the first month. 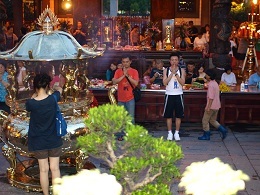 Other smaller ceremonies are held on specific days of other months to celebrate Huangti’s birthday and his ascent to heaven. 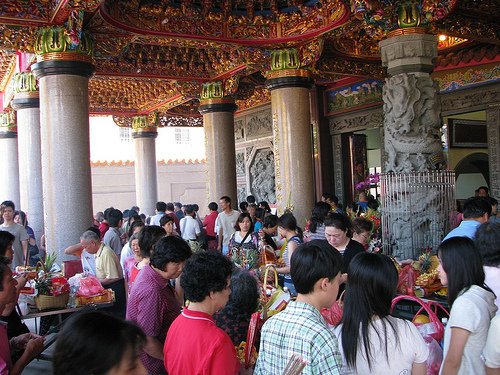 The largest Hsuan-yuan temple is situated in Tamsui. Muslims in Taiwan today, however, have difficulties conforming to orthodox Islamic customs. The hectic city lifestyles and the restraints of a non-Muslim environment contribute to the many problems faced by the Muslims. There are currently three new mosques, which have been constructed in Kaohsiung, Taichung, and Lungkang, together with two other mosques in Taipei. Li-ism was founded by Yang Lai-ju in the 17th Century. The meaning of Li-ism is ‘the doctrine of order’. Li-ism accentuates traditional Chinese morals and ethics. It is an amalgamation of Confucianism, Buddhism, and Taoism while accentuating also on the worshipping of Kuanyin (Goddess of Mercy). Customs and practices of Li-ism are similar to that of Buddhism in terms of worship and ‘dos and don’ts’. Tenrikyo, as the name suggests, is a Japanese religion founded in 1838 by Miki Nakayam, who was a daughter of a peasant family. It teaches people how to abide by God’s will by gaining control of their destiny so they can lead a life of joy. This religion was introduced in Taiwan during the Japanese occupation. 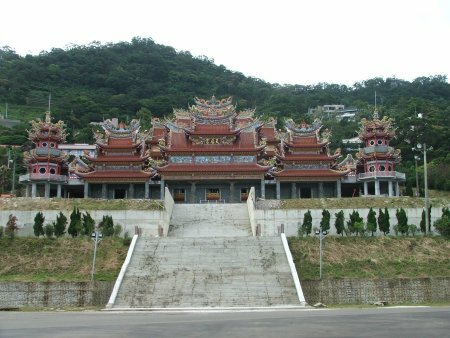 Due to its similarity to Buddhism, it was accepted and developed in Taiwan. The Tenrikyo headquarters is located in the Yuanshuan area of Taipei. The Baha’i faith was founded in Iran in 1844 by ‘Bab’. Baha’is have few beliefs. They believe that the family is the foundation of human society, and God has sent messengers like Moses, Krishna, Buddha, Jesus, and Mohammed to fulfill his purpose. In 1954, an Iranian missionary couple came and constituted Taiwan’s first Baha’i center in Tainan. Now, the local headquarters is located in Taipei. Tienti teachings were founded by Lee Yu-Chieh in the mid-1980s. Tienti teachings focuses on some of China’s oldest religious traditions and honors the Lord of Heaven (T’ienti), ruler of the universe. The religion stresses the co-existence between the spiritual and material worlds. However, the absolute goal of Tienti teachings is a world of universal love regardless of race or belief. Tien Te Chiao is a combination of Confucianism, Taoism, Buddhism, Christianity, and Islam. The religion was brought into existence in mainland China in 1923. Its founder, Hsiao Chang-Ming was gifted with the gift of healing, which attracted much attention. He inducted many principles in which followers were to adhere throughout their lives. Wang Ti-ching, a disciple of Hsiao in Kaohsiung, spread Tien Te Chiao. I-Kuan Tao is a new faith and also the third most popular religion in Taiwan. It strives to distinguish common principles underlying Taoism, Buddhism, Christianity, Islam, Judaism, and Hinduism. Worshippers believe that by unveiling the universal truths, the world can achieve peace and harmony. Mahikarikyo, another Japanese religion, was founded by Yosikazu Okada in 1959. Mahikarikyo believes that anyone can attain healing powers by taking a three-day seminar on the Spiritual Art of Divine Light. Devotees believe that their teachings of the righteous law will bring all people happiness in the coming Holy Twenty-First Century. Mahikarikyo was introduced to Taiwan in 1983, but was only registered with the Ministry in 1996. Now, the religion has vastly developed with shrines available around the island. To be quite honest, I find this a little sad. A person should be proud of where they come from. Taiwan is a beautiful country with an amazingly rich culture. So what if it is Pagan? It is a part of who you are. I believe that Christ will love you REGARDLESS of your background! The Greeks have not always been Orthodox. They too believed in many Gods and have sacrificed animals for them. And guess what? The Greeks STILL embrace that part of their culture! Be proud of who you are! The world is beautiful and so full of variety. There should not be only one religion all over the world! It would be boring! ‘Gods’ invented by people are not real. But to know the living God is an incomparable gift. Humanity is called to become what it is, One nature in a plurality of persons, after the likeness of the Oneness of the Holy Trinity. When a gift from on High empowers a person like Pelagia, to enter into the real dimensions of loving God with all their heart, mind and soul, and their neighbour as themselves, new horizons open up before them, unimaginable in their former state. In this gifted mode of life, or profound prayer for the whole world as for oneself, like Christ in the Garden of Gethsemane – one lives all humanity as one life, one nature in a plurality of persons. After the experience of such personal prayer, one abandons the categories of formal logic and moves to those of existence itself. Truth is not the product of human philosophy and culture. Truth and Beauty is He Who is before all ages. Philosophy and culture are tools to express beauty and truth. Diversity and multiplicity are great when interpreted correctly, only then can they be used in the right or noble way (for the benefit of humanity and the glory of the One God). The diverse wisdom of this world is not and can not save this world. The parliaments, the governments, their money and power, the complex organisations and cultures of the most advanced contemporary or ancient states, like Greece, are powerless, even though they are impressive. Humanity suffers without limit. The only solution is to find within us the wisdom and resolve not to live according to the ideas of this world, but to follow Truth, to follow Christ. How can we find our way? According to the Gospel, Christ is our way. ‘In the beginning was the Word’. Without Him, nothing of all that exists was made. Every day we know in our own bodies the painful experience of life, and how pitiful it is. Nonetheless, we are created in the image of Christ, of the Absolute. The problem, the mystery of our life, is to move from what is relative (like the relativism which you seem to believe in) to the Absolute. If what exists has been created by God, it should not die. God created life; He did not create death. Our goal (to become what we are) is life with Christ-God, immortality, eternity. According to divine revelation, God’s own eternity can be communicated to us. Christ has given His divine life to those who are created in His image, to all humanity, but the only response He received was hatred. Like all the philosophers before you (e.g. Pindar 518 BC – 438 BC) who said, ‘become what you are’, my answer as an aspiring Christian is, ‘I am’. I can address Him as ‘You’/’Thou’ and in His ‘I’ and in my ‘Thou’ all Being is contained –both God and this world. Every moment of my life, my every heartbeat, are all permanently in His hands. My personal being, both temporal and eternal, is entirely from Him, down to the last detail; except for my sins, about which He knows but in which He has no part. When I am in Him, then ‘I am’, also. But apart from Him, I die. Even from my experience I know that this life proceeds from Him. Through union with Him, in every sacrament, in the very Act of being, I live as He does. He is my life, His life in mine. God’s love is kenotic. He revealed the secret of His being when He commanded us to love God to the point of hating oneself (Lk 14:26-27, 33). He reveals the secret to us not through abstract philosophy, or merely through culture, but existentially – that is, by so including us in His being that it becomes ours. Thus, precisely, is how we live this gift called Christian Orthodoxy. Pelagia was making a simple but fresh and profound statement about the fact that the world knows nothing greater than the vocation of a Christian, which the Greek Orthodox people seem to have forgotten or have become complacent, falling into their old habits, as humans do. But the higher the goal, the more difficult it is to reach, unless by the grace of God and our free will. I am sure Pelagia is proud of her ‘colour’ and of who she is when she looks in the mirror and sees a Taiwanese girl. I do not think she was saying that she wants to be Greek. Rather she was in awe of the way the gospel had transformed the Greek culture. She could identify with the Greek Orthodox culture, which also belonged to her as a Christian. 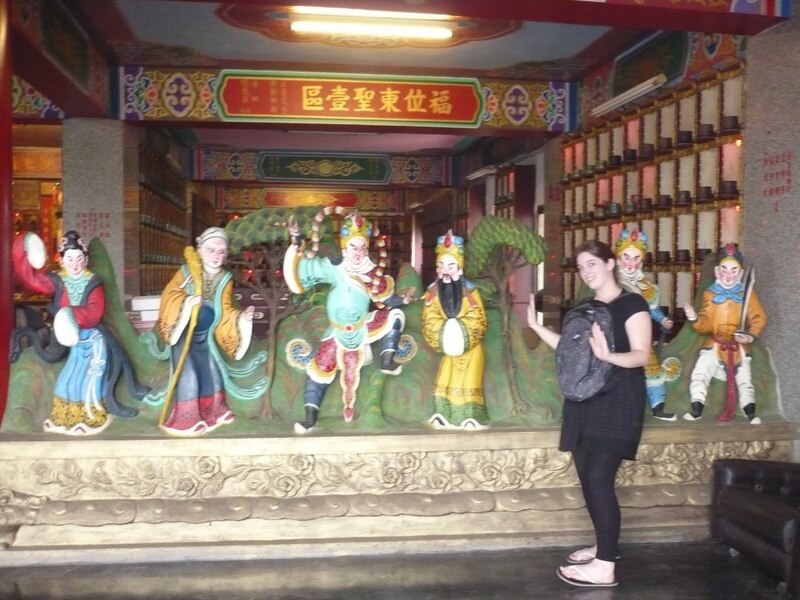 She dreams that one day her unique culture would be able to assimilate the Christian message and express it in the Taiwanese way, just as the Greeks did. So, you can imagine how she felt when she came across the gospel in a Christian culture that now also belonged to her, but she had never experienced before, and the potential the gospel contained to assimilate to a culture, without destroying it. We can call ourselves many things, but truth is in One, the Creator of heaven and earth, Jesus Christ. We have to look towards the personal God; that is, to set our sights upwards and dynamically, so as to give our body (which is inclined to inertia) an eternal momentum. St Paul summed it up when he said: ‘There is neither Jew nor Greek, there is neither slave nor free, there is neither male nor female; for you are all one in Christ Jesus’ (Gal 3:28). Yes, there is variety, and it is a beautiful thing, when it can work in order and unity, unlike the modern predicament. This can only be found in the unity of one mind, one faith, one love, one common ground, one source of life, one common family, in Christ. ‘And if you are Christ’s, then you are Abraham’s seed, and heirs according to the promise’ (Gal 3:29). I would hasten to agree with this point, as we Greeks have had the truth of the Gospel right under our noses for 2000 years and we still do not take it seriously. We are like the walnut that falls into the river, but when you take it out of the river and open it, it is still dry on the inside. Thus the walnut has not been changed by the water and encouraged to sprout and grow into a tree. I think many will get the meaning of my analogy. In ancient times the philosophers were the voice of conscience to the Greeks. Many were rejected. And later on, the Greeks received the Gospel of Christ via the Apostles and then the Church Fathers became the voice of the nation’s conscience, while later on, after the fall of Byzantium, right until our present, God provided the Greeks with charismatic elders, ascetics, as well as musicians and poets to be the nation’s conscience. But in every generation the struggle is to get the message across, and it seems that like the Jews and like many other nations, we Greeks are a stubborn, hard-hearted bunch who refuse to hear the truth and what is beneficial to us. The irony being, that the Greeks have had 2000 years of the Christianisation of their culture, whereas Christianity has come to China and Taiwan many times and then disappeared for one reason or another. The task before people like Pelagia, is to work towards a Taiwanese expression of their Orthodox Christianity, to develop a Taiwanese Orthodox culture and identity. Thus as St Basil the Great’s analogy in his address to youth, one must be like a bee that takes the best pollen from each flower, in order to utilise what is beneficial and beautiful to us. 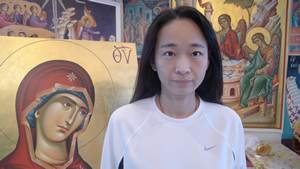 Certainly not an easy task, but there are examples and ideas of Orthodox Christian cultures like the Greeks, the Serbs, Russians, Arabs etc, from which the Taiwanese faithful can draw inspiration and ideas from in discerning their own unique niche within the Orthodox Christian communion. One only has to look even to the more recent Orthodox Christian nations and communities like that of Alaska or the autonomous Church of Japan, the Orthodox of Korea, or the faithful of sub-Saharan Africa.